Welcome to our second annual season preview, this time featuring the 2015/16 ski season. While many skiers and industry players are still recovering from the hangover of a record low snow year throughout much of the west, optimistic folks and east coasters are eagerly anticipating another great season. October came fast this year and we will use the first day, the second anniversary of our opening, to look ahead and see what’s in store (literally and figuratively). While Dynafit was the first to make a race-weight binding with an adjustable release (Speed Superlite), others are now following suit. 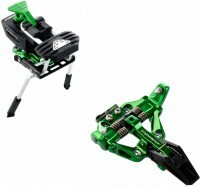 Kreuzspitze offers a new GT binding, an ultralight machination that has fully adjustable lateral and vertical release values. Plum is blurring the lines between touring bindings and race bindings with the new WEPA, a binding happily lodged between proven race models and the Guide binding. Not only can you adjust the release of the WEPA, you can also adjust the heel to multiple boot lengths. 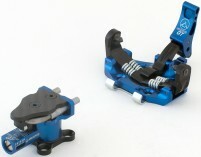 Even Ski Trab has focused significant energy on making race bindings with safer release/retention characteristics. We may look back on this season as the year it officially became OK to tour without training wheels. It’s not just race bindings that are seeing attention paid to release mechanics. Coterminous with the above improvements to ultralight bindings, major touring models are being certified by TÜV. The new Radical 2.0 series from Dynafit consists of multiple models with official paperwork, joining the previously anointed (but much heavier) Beast. Combined with the Marker line of half-tech bindings, it’s officially a DIN party. While this is certainly a welcome development for fans of uphill travel, it’s a good time to point out that certification to DIN standards does not change the biomechanical release profile of lateral-heel release bindings. 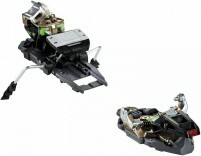 See our article on WildSnow to visualize the difference between these and standard alpine bindings. Oddly, the makers of the tech binding with a release profile most similar to alpine bindings (the Vipec) haven’t yet paid the certification overlords to make you feel safer via rubber stamp. So keep in mind it may not be best to choose based on paperwork alone. This is a shameless plug for our new brick and mortar store. After two seasons as an online-only specialty shop, we can now be found in person just down the street from the base of Big Cottonwood Canyon in Salt Lake City. What’s in store for the store? Who knows, but feel free to drop by to touch and feel all the shiny lightweight trinkets that you’ve been eyeing suspiciously from afar. Our sign is up at 2477 Fort Union Blvd. While we don’t typically report on fashion trends, some of the palette changes this season are screaming for attention. Most notably, Dynafit is seriously overcorrecting from several years of neutral-colored race skis, bindings, boots, and clothing. New pastel colors not only differentiate from previous models, but also between left and right skis and bindings. Other hue migrations can be seen in updated CAMP packs, Millet clothing, and many of the new bindings mentioned above. It’s becoming easier to choose all your gear based on style if, like us, you’re just in it to look good (new readers: yes, that was sarcasm irony). In the software world, updating a major version number (before the decimal point) typically signifies a major leap in architecture, feature list, or consumer readiness. Of course, there are a few bad apples that use versioning primarily as a means of extracting money from existing customers in the form of upgrades. The jury is still out on which type of apples exist in the ski industry, but more and more are appending version numbers to their gear. The Dynafit Superlite 2.0 is significantly different from its predecessor, arguably enough to warrant a different name altogether. 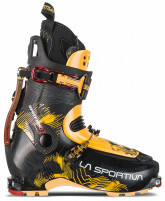 While sawing them in half reveals some construction changes, La Sportiva’s new 2.0 skis look and feel a lot like 2014/15 models. 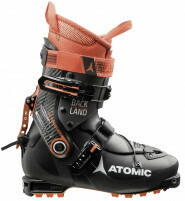 On the flip side, the Spitfire 2.0 boot could be a game changer for fast and light touring. We recommend taking the new versioning systems with a grain of salt; let’s just hope there are free downloads of any 2.1 versions with important bug fixes. We’ve heard several grey-bearded industry veterans remark that it’s nearly impossible to fit ski boots online. We agree that is true for folks with difficult feet warped from years of abuse (some call it love). For the majority of normal-footed skiers, however, we think that no one has really tried to do it well. Our new online boot fitter uses advanced heuristics to help guide you into a boot. Of course, those of you familiar with heuristic algorithms know they require a good amount of data. So please, for everyone’s sake, go enter some data. There is a bright side to a ski season that struggled to last through March in many typically snowy locales. That is, there exists a good amount of unsold inventory of perfectly good ski equipment now at discount prices. 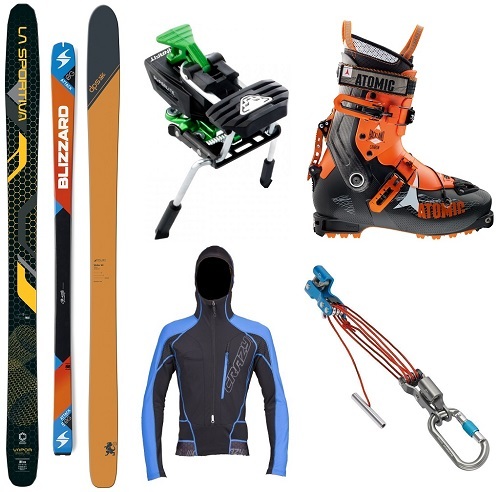 We have several models of previously hard-to-find or expensive race skis, bindings, and other gear at more affordable levels. Never has there been a better time to jump into a new dedicated setup that you’ve been trying to justify based on expected usage levels. Enough for the sales pitch, thanks for reading! That was not sarcasm; it was irony. Sarcasm literally means flesh-tearing, so it needs to draw blood. You drew no blood. Better luck next time. Thanks Jim, all references to the late Greek word have been struck. Glad to see you are on the street. Now I know where to direct friends. Hoping for early snow and an excuse to get my new Dynafit boots heat-fitted. Thx for the update and good luck in the brick and mortar. If I get out that way I'll look you up.